Well finally its here a ESP8266 ESP-12 Evaluation board now no more headache of soldering the ESP8266 Module. 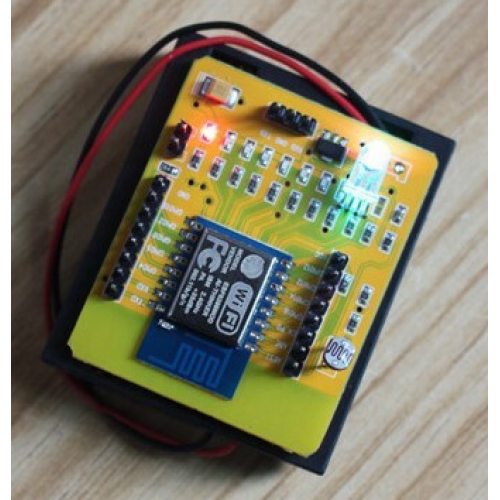 This ESP8266 Evaluation board is based on the famous ESP8266 ESP12 Serial to wifi Module. This is a perfect test board for testing out ESP8266 Module. It has all the GPIO taken out and also has an onboard power supply. Plus it comes with a battery case where you can insert three 1.5 Volt pencil cells. A full ESP-12 variant with PCB antenna of the ESP8266 is mounted to a PCB, with all the GPIO pins brought out to nice friendly 2.54mm-pitch header pins. The board is powered by 3 x AA cells, and an onboard regulator ensures a neat 3.3V supply for the ESP8266. Furthermore each GPIO has an LED connected so you can quickly test your code without connecting external hardware, and an LDR is there to test the ADC. Note: We will not be providing any Technical support with respect to this Module. There are plenty of resources online regarding this module so Buy it at your own risk. 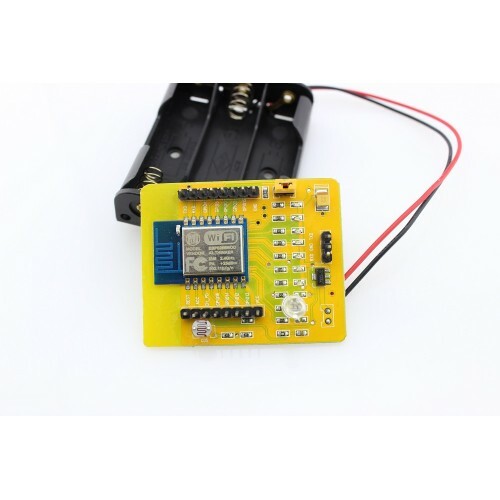 ESP8266 Serial to WiFi Module (ESP01)With the popularity of IoT. Internet-connected devices built wi..
ESP8266 ESP12 SERIAL WIFI MODULE WITH GPIO PINOUTSWith the popularity of IoT. Internet-connected dev..
ESP8266 Wifi Module Breakout BoardTired of soldering ESP8266 ESP-12 Modules on Zero PCB for your pro..